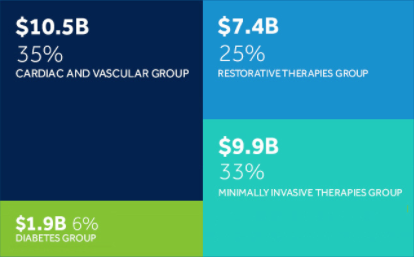 According to 2017 data collected by Medical Product Outsourcing, last year Medtronic outpaced Johnson & Johnson with $28.8 billion in global revenue as compared with the incumbent’s $25.1 billion in revenue. The company has more than 300 locations throughout about 120 countries, employing over 85,000 people. ·Why do you love to come to work? ·How does your job make lives better? ·Can you state the company mission statement? ·Can you summarize the company vision? ·How accurate is the company mission statement to our actual solution delivery? ·How do you think the company is doing in terms of fulfilling its vision? In the resulting data, look for common responses and validation of internal marketing initiatives. Can’t connect the dots or validate efforts? Then it’s time to rethink the internal marketing strategy. 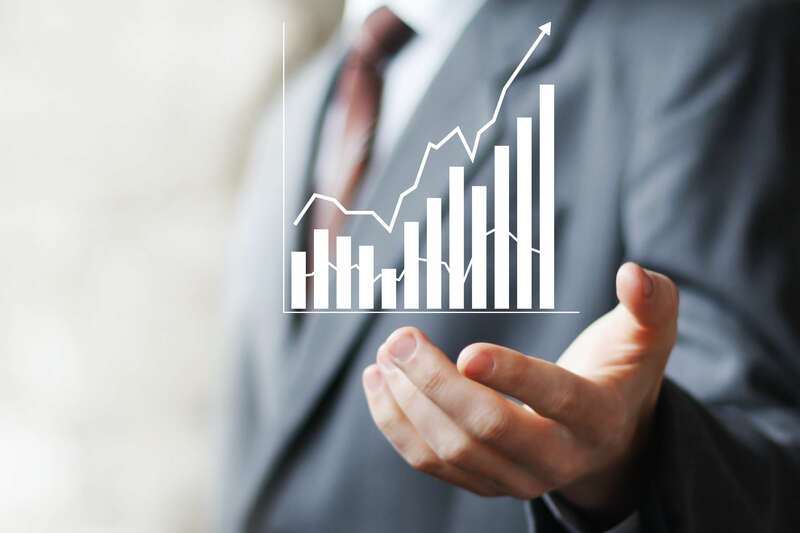 Without getting people on board with the mission and vision, the growth trajectory wanes. Medtronic knows the importance of getting the right people in the right seats on the bus. To that end, they have invested highly in recruitment marketing efforts. The best part: they allow the voice of the happy employee to lead the charge. This attracts like-minded professionals who are ready to hit the ground running. Most medical device companies recruit by posting job descriptions in job search sites. The book Why Can’t I Hire Good People? Lessons on How to Hire Better, lays out 7 steps for finding great employees. First, “Create an ideal candidate description.” An ideal candidate embodies the organization’s mission, vision and values with very little training or guidance. The ideal candidate is a perfect fit with the organizational culture and is eager to perpetuate that goodness throughout the internal and external workings of the organization. Only then, the author says, can you develop the job description and the job advertisement, which are two distinct tools: the former details responsibilities and duties, the latter markets the position to the target audience. In the medical device industry, too often job ads are written in an effort to quickly attract the right clinical help. Very little regard is given to what will attract the right person to the job. Finally, the book advises conducting three consecutive but separate interviews. The first will answer, “Can I work with this person?” The second will reveal, “Can they do the job?” And the third, “Are they passionate?” The candidate who aces all three is the best fit for the job. The right recruitment marketing builds A-teams; the wrong strategy breeds chaos. Medtronic doesn’t just have brand standards. They have brand standards for all. The company’s public-facing brand standard portal is easy to access and simple to use. Designers, writers and marketers can access templates, logos, color palette guides – anything and everything that they need to get the job done. This means that marketing more efficiently gets to market. Got brand standards? Most do. Take it to the next level by making brand standards as accessible as Medtronic has. Imagine the time saved with 85,000 employees quickly pulling up a single website rather than swapping clunky, outdated, incongruent PDFs or – worse yet – the dreaded intranet login to an abyss of dated and disorganized files. Don’t have brand standards yet? It’s time to document them. 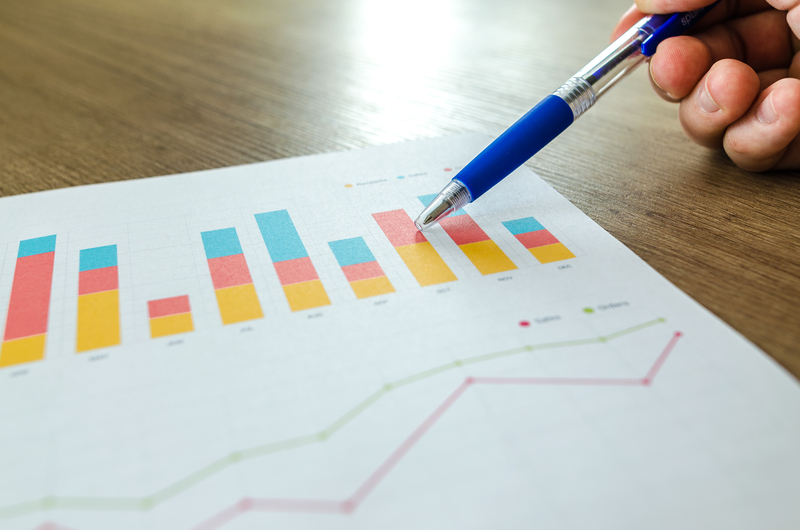 Target market research culminates in data-driven brand standards that will last the test of time. Proper documentation ensures that everyone – from local teams to global ones and outside contractors – are singing from the same song sheet. 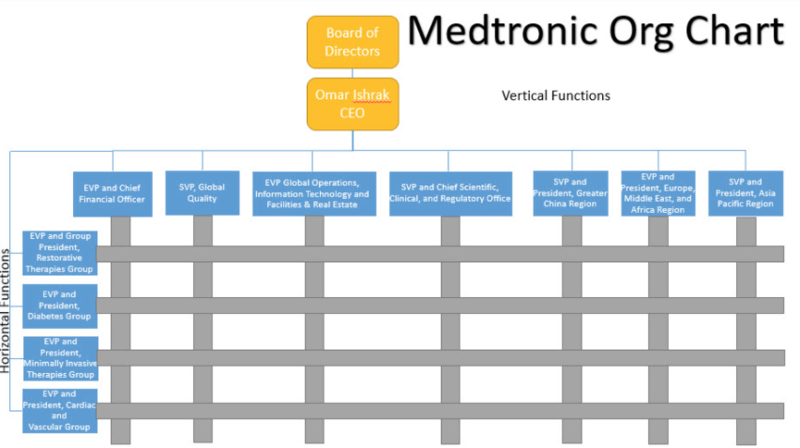 Medtronic has strong organizational structure. We can’t resist this title from blogger Jesse Rosenbaum: Medtronic: A Company No One Knows, and How It Dominates the Medical Device Industry. He writes, “Medtronic uses a matrix organizational structure to be able to meet the needs of this globally expanding company. The company’s matrix structure used is mechanistic in nature with well-defined authority structures.” He provides an infographic, shown below, to illustrate the strength and simplicity. Strong organizational structure allows leadership to remain accessible and agile in a rapidly changing environment and all employees to contribute their best to company initiatives. Have a close look at your organizational structure. Does it create bottlenecks, or open up possibility for all? Congrats to Medtronic. This is competitive edge at its finest!